The East African Communities’ “Coalition of the willing” is going a long way in promoting tourism in its member countries. Kenya, Rwanda and Uganda have, since the emergence of the coalition last year, come up with initiatives to promote tourism in the region and support each other with major tourism events. The tourism boards in the three countries have committed to support and be present for the different events in any of the countries. This was especially evident at the just concluded Martyrs day in Uganda. There were delegations from the Kenya Tourism Board and the conservation department present at Namugongo, a deliberate show of solidarity. The event was attended by thousands of locals and visitors from other countries. Some of the people present had actually walked long distances to make it to Namugongo for the celebrations. The partnership with Kenya and Rwanda of course helped to publicize the already high profile event even more. Religious tourism is a new niche that the Uganda tourism stakeholders have identified and intend to explore and exploit. It is not just Uganda that is getting the support; Rwanda will also be supported by the other two countries later this month when it holds the gorilla naming festival “Kwita Izina”. The festival is slated for June 21, and will be the tenth anniversary of the gorilla naming ceremonies. The ceremony will be held in Musanze, Kingigi, outside the headquarters of the volcanoes national park. Rwanda is expecting a number of wildlife conservationists to be present for the ceremony which will see 16 baby gorillas named. Members from Uganda and Kenya Tourism Boards will also be there to support Rwanda. Kenya will also benefit from the supportive relationship with the three countries later in the year when it holds it’s the magical Kenya Travel Expo in Nairobi. Over a hundred buyers will be hosted alongside many media personnel that have been invited to cover the event and hopefully boost and help promote Kenya’s tourism and the entire region as well. The introduction of the single tourist visa and the use of joint exhibition spaces by the three countries have strengthened the partnership. 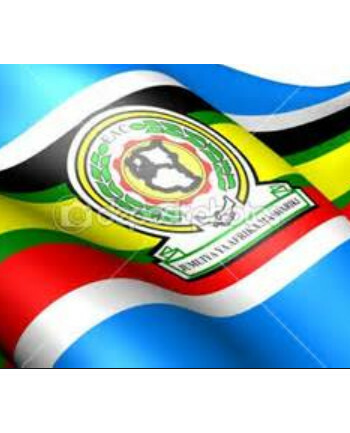 It would however be much better if all five of the five EAC countries were taking part in these initiatives. According to sources, the door is still open for Burundi and Tanzania to join hands with their neighbours and be a complete unit.